"Don't worry if you don't know the rules – we're making it up as we go along." 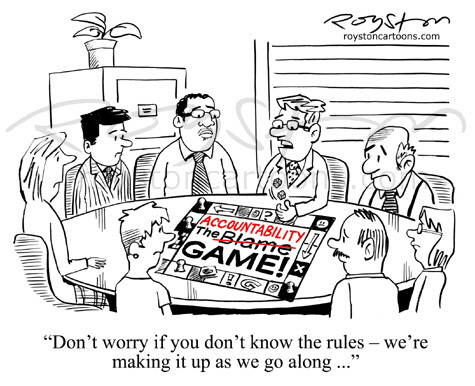 In the light of the phone-hacking scandal at the News of the World, a business client wanted a cartoon about how organisations can deal with the issue of accountability, to establish who is ultimately responsible when things go wrong instead of playing the "blame game". 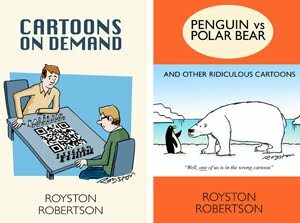 This series of cartoons always features the same characters, always in a boardroom scenario. It's fun thinking up new variations. See more here.